A wedding ceremony in the Lake Winnipesaukee area of New Hampshire can be one of the best places to get married. You'll have a truly memorable day whether it's traditional and held at a reception hall or someplace different. I have chosen a few of the best and most popular places to hold your wedding. Each one is delightful and will make you feel like you can have a fairy tale wedding. In the warmer months, the beauty of Lake Winnipesaukee and the New Hampshire mountains abound and can add to your wonderful memories. Remember, you can plan your special day any time of the year. Most of these wonderful choices are available year round. Go ahead and plan your wedding ceremony in one of these Lake Winnipesaukee places to get married. This luxurious lakeside inn offers an unforgettable wedding day. The onsite wedding coordinator will help you plan your event to complement your personal style. Their scenic view of Lake Winnipesaukee, gardens and outdoor gazebo is an ideal location for that perfect wedding ceremony. You can choose to hold the wedding outdoors under a tent, in the ballroom or on the Winnipesaukee Belle, a river-boat style paddlewheel cruising Lake Winnipesaukee. This resort is located in Laconia, New Hampshire near Weirs beach. It has wonderful views of Lake Winnipesaukee and the mountains. This is an ideal location to hold your reception. You can enjoy a great stone fireplace with your own private deck. This luxury, lakeside resort offers the perfect beginning to a beautiful marriage. The onsite wedding coordinator will help you plan which reception room is ideal for your special day. The elegant grand ballroom is perfect for large weddings and the Mariah room provides a stunning view of Lake Winnipesaukee. Have your memorable moments captured at the Margate's own private beach. There is so much to choose from. This is the perfect lakeside location to hold a wedding reception. Overlooking Lake Opechee, the Opechee Inn and Spa offers a luxurious location for your wedding. There are many function rooms to choose from and the classy style will enhance your special day. This elegant location overlooking Lake Winnipesaukee is the ultimate place to have your wedding ceremony. This is a popular setting for your special day so you'll need to plan ahead. Event planners will help you create an unforgettable wedding day. This beautiful resort overlooks Lake Winnipesaukee and the New Hampshire mountains and provides the perfect backdrop for your special day. Whether you're indoors or out, the special services available will make your day unforgettable. For those that prefer an historical theme to their wedding ceremony, try the Belknap Mill's charm of the past. This unique mill, built in 1823, appeals to the history buff in all of us. An old-fashioned magical day with modern amenities is an ideal location for your wedding. Now, this is a spectacular place to have a wedding ceremony. What could be better than saying your "I dos" on the summit overlooking beautiful Lake Winnipesaukee? This will definitely be a memorable experience. 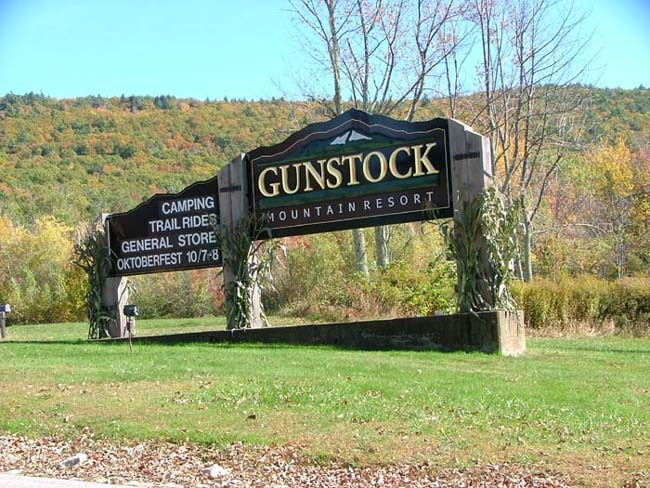 For those not wanting to take the chair lift, Gunstock also offers the lawn, at the pond or under their new Pergola. There is so much beauty here, your guests will be able to enjoy it as much as you do. If you enjoy the water as much as I do, then celebrating your big day aboard the "Grand Lady of the Lake" will be unforgettable. 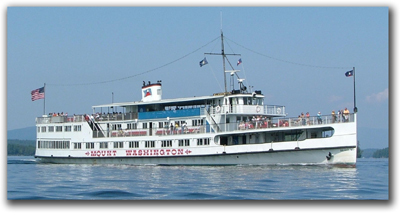 Get married by one of the captains and have the reception in grand style while cruising the lake. Capture your special moments with the awesome beauty of Lake Winnipesaukee and the New Hampshire mountains as your backdrop. Do you want to get married high atop a New Hampshire mountain at a castle in the clouds? Well, you can do it here. The views of the lakes region and surrounding area are absolutely stunning. For your unforgettable wedding, Castle in the Clouds is the place for your momentous occasion. The above are a few places to check out for your wedding day. Lake Winnipesaukee in New Hampshire is one of the most beautiful places to get married and will definitely be one of the memorable days in your life. So plan this special day with your heart and soul with the beauty of the lakes and mountains nearby. What a wonderful place to exchange vows that you will honor the rest of your life!